Sammy is a handsome, 2-year-old, black and tan, short haired, neutered male. He is a strong, heavy set dog who was born without a tail. 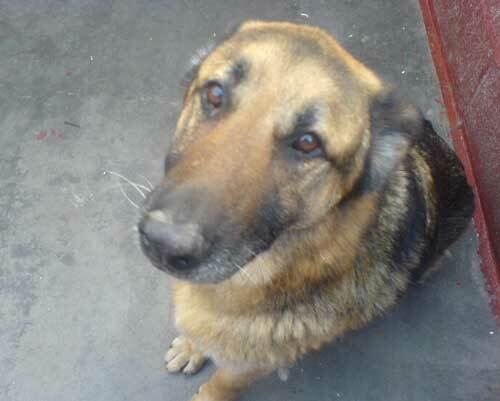 Sammy is a friendly, affectionate dog with people he knows but does have a tendency to be protective. He bonds quickly with people and is generally fine with other dogs - not sure about cats. Due to Sammy's protective nature, he would be best homed in a home without children. He needs a confident, relaxed, experienced owner. Sammy is vaccinated and microchipped. 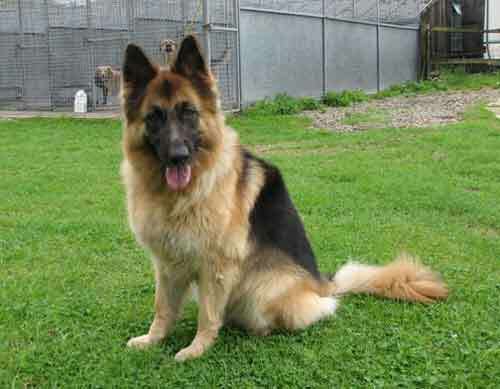 Zara is a beautiful loyal obedient girl who is very affectionate. 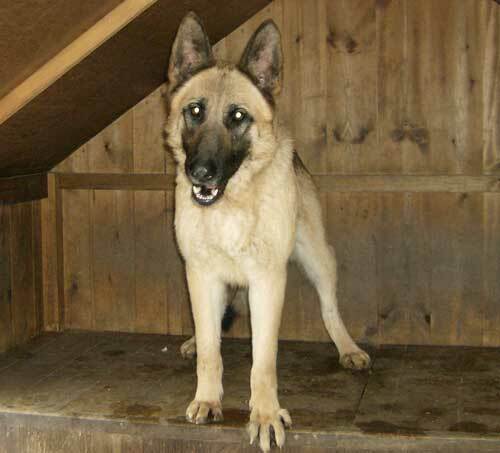 She is not keen on other dogs although she has lived with a male GSD and she would not be suitable for a home with young children. She is very alert and will be protective of the home and her family. This poor boy was found abandoned with a male Rottie in a scrapyard. People were going in to feed the dogs before they were caught and removed to the dog pound where they were both scheduled for destruction. He is fine, a bit confused and frightened, loves his tummy rubbed. Rottie rescue has saved the other poor boy. Susie is about 3 years old, very loving and enjoys playing ball and going for long walks. Will need to go to a home without children or other dogs as she does seem to have a bit of a problem with her sight, think she may have had a serious knock on the head at some point. In kennels at the moment and not doing well so needs a loving home asap. 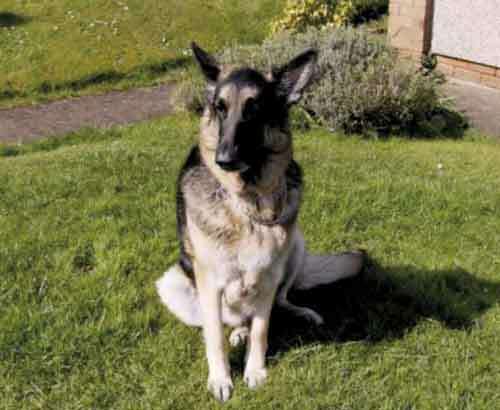 Leilah is a large GSD who came to the UK all the way from America but it has not been a good experience for her as she has been passed from pillar to post and spent many months in kennels. She will adore her family, is OK with strangers if introduced properly but she is very, very protective. 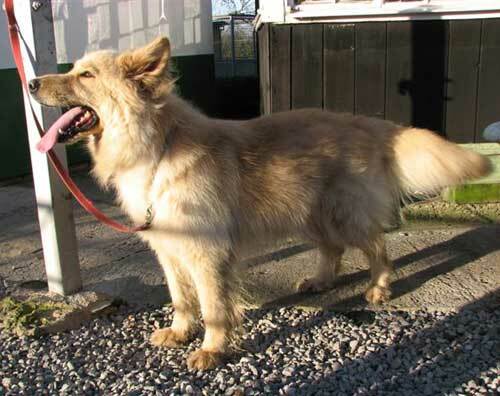 She needs a rural home with experienced owners without any other dogs. Saved from death row at the last minute. Moss is older than Fern, they love each other and we want a home that can take the two of them together. Beautiful temperament and whoever gets these 2 will be a very lucky person indeed. Absolutely delightful dogs. 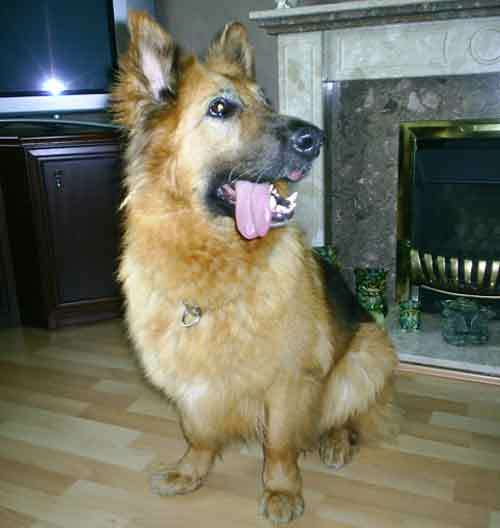 Zak is a lovely, friendly, affectionate dog who lives with 3 cats and is tolerant of horses and the owners' shetland pony. He has not been around young children. His downside is that he is not good with other dogs and will lunge at them on the lead. The owners are being bullied by a thug of a neighbour who wants Zak put to sleep because he is not keen on other dogs!! 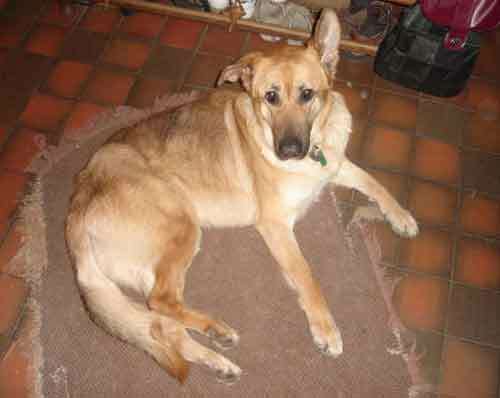 Zak needs to be rehomed urgently. This beautiful big boy is 4 years old, a big friendly boy that is not bad with other dogs but the family that had him claimed he had growled at the kids. Experienced home required without young children. This lovely girl is Sheila who is a lovely friendly girl but who has had a bad start in life having been kept as a guard dog in a yard. She is such a gorgeous girl and desperately needs a loving home. She is good with other dogs. 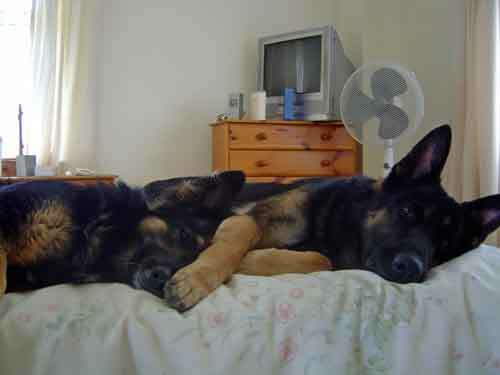 Please help us by making a donation so that we can help re home more unwanted German Shepherd Dogs. 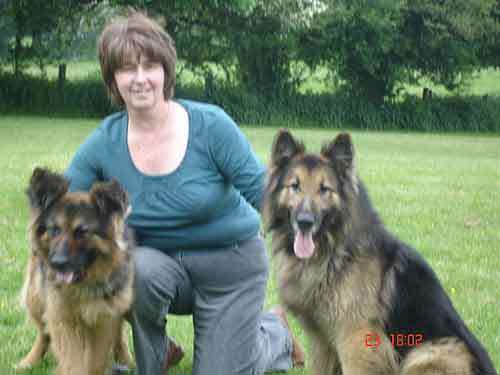 Donations can be sent to Jayne Shenstone, German Shepherd Rescue, Little Vauld, Marden Hereford HR1 3HA. We also accept Paypal payments - just click on the Paypal button below. Thankyou.